Real estate litigation and transactions can be complex. From purchases to inspections to appraisals, you need legal assistance to review all the fine print and verify that everything is in order. While you may be tempted to save a buck with non-legal services, remember that only attorneys and lawyers belong to a regulated industry with clear standards and are required to carry insurance to cover them in case of errors or omissions. If you work with a non-legal agent, you may not have any recourse in case the transaction goes wrong. Real estate attorneys are professionals who ensure that real estate deals are properly completed as anticipated. 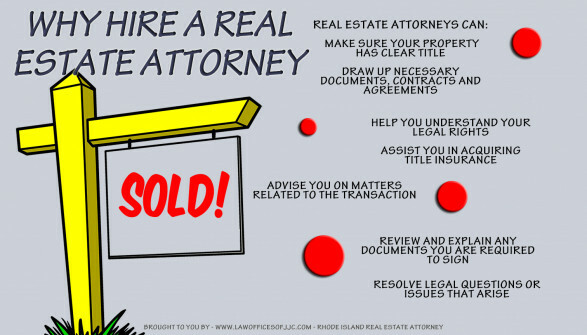 Only licensed lawyers, not real estate agents, can actually draft and revise legal documents. A rule of thumb is that if you or your real estate agent cannot understand the contract easily, a professional real estate attorney should represent you. Additionally, in some instances title insurance companies and mortgage lenders may require you to use a real estate attorney to make sure that all legal aspects are clearly outlined. Still, real estate attorneys are also necessary in a broader range of real estate matters including loan modification and short sale. From individuals, to commercial organizations, to local governments, different types of organizations will require the services of a real estate attorney in cases of real estate dispute and mediation. Real estate transactions that don’t work out as expected commonly involve litigation. In the event of litigation, the real estate attorney has specialized training that allows him or her to draft legal pleadings with judges, participate in hearings and trials, bargain with opposing counsel, work out settlement agreements, and file appeals. While some states may allow any lawyer that has passed the local bar association to represent individuals in real estate transactions, it is critical to select a lawyer specialized in the complexities of real estate transactions. Failure to use the correct documents and forms may result in delays and loss of time, money, and filing fees. This is why it is important to work with well-established, local real estate law practices. With over 25 years of experience in the Seattle and Tacoma markets, Dickson Frohlich assists a wide audience of parties in real estate purchase or transfer, disputes, mediation, and litigation. Whether you are a mortgage lender, a developer, or a homeowner association, our team of litigators is ready to serve your legal needs. Our real estate, business, and probate law team is ready to help you in reaching a mutually beneficial agreement for all parties. If you need high quality, cost-effective service and innovative legal solutions in real estate, count on Dickson Frohlich. For more options to contact Dickson Frohlich, visit our Contact Us page.